Koonthankulan Bird Sanctuary is a protected area which was declared as a Bird Sanctuary. Koonthankulam is the largest reserve for water breeding bird. The people in Koonthankulam village play major role in protecting both resident and migratory bird. The nests and fledglings of these birds are carefully taken care of every villager. The excreta of the birds are preserved and used as fertilizers for farms by the villagers. The sanctuary has watch tower, interpretation center, children park etc can be visited throughout the year. 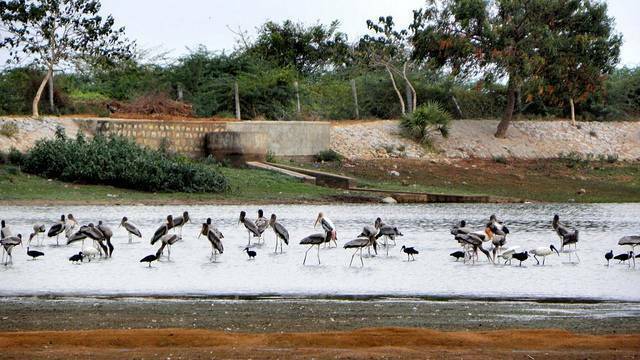 Nearly 43 species of birds visits this sanctuary. As per the survey nearly 10000 migratory birds visit the reserve during the winter seasons. The bird nest from January 15 th onwards. Amazing sight. A perfect day trip with packed breakfast from Anantya Resorts.